Stenness Church is united with Orphir where services will continue as usual at 11.15am. 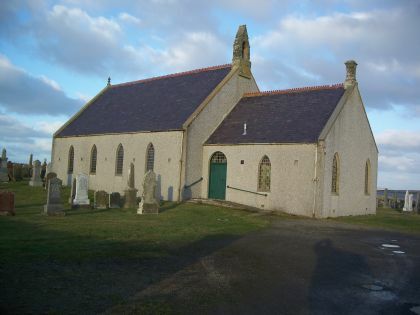 The Stenness Kirk building has been sold although the Stenness graveyard is still in use and a Memorial service takes place every year on Armistace Sunday. 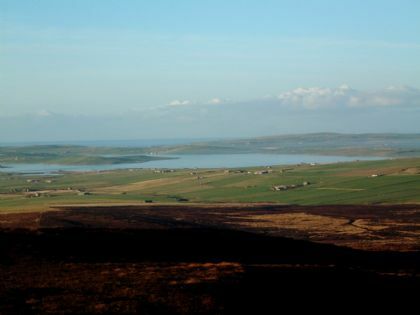 Much of the Parish of Stenness lies within the World Heritage Site known as The Heart of Neolithic Orkney of which two of the best known monuments are the Ring of Brogar and the Tomb of Maes Howe. Thus the Parish can trace its history of human habitation back for at least 5,000 years. Visitors flock to see these and other monuments including the Stones of Stenness and the Neolithic village of Barnhouse. Jo Ben who visited in 1529 described the last battle to take place on Orkney when the Orcadians defeated the invaders from Caithness at Summerdale. "The men of Caithness were overwhelmed and killed so that not even one survived". In 1580 Henry Colville became minister of Firth, Stenness and Orphir (at that time one ecclesiastical unit). Colville was a favourite of Earl Patrick Stewart and discovered a plot to poison the Earl. The conspiritors were said to have consulted Alison Balfour, a reputed witch, for expert advice. Colville obtained a confession of her guilt after torturing her, her husband and their children. Despite a promise that if she confessed her life would be spared, she was burnt at Gallowha. Colville was subsequently murdered at Nesting in Shetland where there was little sympathy felt for him by the friends of Alison Balfour. In the old days the roof of Stenness Church was thatched and as it had to be renewed frequently various expedients were adopted to minimise the cost. Women who broke the seventh commandment were compelled to wind a quantity of heather rope to hold down the thatch and this punishment was duly intimated from the pulpit. The Kirk was rebuilt in 1792. Stenness is also famous as the site of the Odin stone which stood beside the Stones of Stenness until 1814 when it was removed and broken up. It had a hole in it through which lovers held hands to make their vows. It was also the custom that when husband and wife could not agree they both went to the Stenness Kirk and after going in together one would leave by the North door and the other by the South door. They were then held to be legally divorced and free to make another choice. 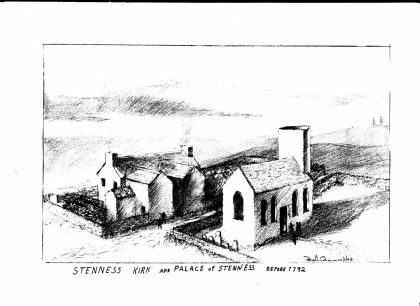 In 1800 the Parish of Stenness which now has only about 600 residents required no fewer than eight Public Houses. In 1899 one of the largest trout ever caught in the UK was taken from the Loch of Stenness. It weighed 29lbs and can still be seen in the Stromness Museum.